Credit Answers, Information, and Tips. 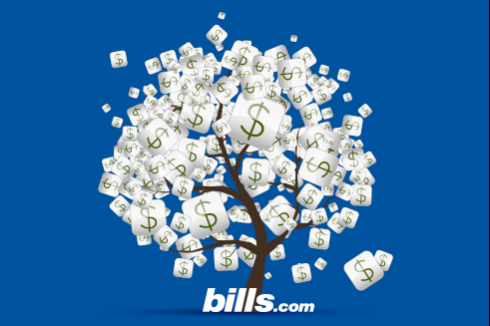 When you are looking for information about credit, Bills.com is here to help you. We have some quick credit tips to get you kicked-off and plenty of detailed information below, and throughout the credit section of Bills.com. Pull your credit report regularly. Get a credit report at least once a year and review it. If there are errors, be sure to fix them, to improve your credit score. Control your spending. If you are running up your debt, it is hard to improve your credit score. Get our free budget guide to help build cash flow and make a solid plan to become debt free. If you need help with your debt, speak with one of Bills.coms pre-screened debt relief partners. Pay your bills on time. Payment history is the biggest factor in your credit score, so dont harm your score through oversight or inattentiveness. Consider paying your bills online, to avoid late payments, fees, and interest rate hikes. Setting up automatic bill pay helps you avoid missing a payment that can lower your score and burden you with late fees and an interest rate hike. Your credit score is a primary tool that lenders use to decide whether to grant you credit and what kind of rate you get. Your score can also be important for some jobs, for renting an apartment, or when shopping for insurance. Payment history: This counts for approximately 35% of your score and is the most important factor in calculating your credit score. Late payments hurt your score, while consistently paying your bills on time helps your score. The further you fall behind, the more damage to your score. Recent late payments are more harmful than ones that appear on your report from the past, as long as you caught up on your obligations. Collection accounts and bankruptcy filings are severe negative marks against your payment history. Credit Utilization: This counts for about 30% of your score. Credit utilization compares your total debt to your credit limits on your accounts. If you are using a high percentage of your available credit, you are considered a poor credit risk. You are viewed as likelier to default on your obligations, as it appears that you are struggling to pay off the debts you have already incurred. Low credit utilization helps your score. Unfortunately, the bureaus do not define exactly what they consider proper credit utilization. It is best for your score for you to use credit conservatively, aiming to use no more than 30% of your total available credit. Credit history: This counts for about 15% of your score. The longer you maintain accounts in good standing, the better your score will be. This shows that you are able to maintain a long-term relationship with your creditors. Keep your older accounts open even if you dont use them frequently, as it helps your score. Credit Mix: This counts for approximately 10%. An ideal credit report has a variety of types of credit accounts, such a credit cards, consumer loans, and auto or home loans. A healthy mix has a positive influence on your credit score. Having too much of one type of credit can have a negative impact. New credit applications: This accounts for about 10% of your score. Applying for too much new credit in a short time period counts against you. An exception allows you to shop around for credit, such as looking for the best home or vehicle loan. All inquiries for the same product that are made within 14 days of the first inquiry count only as one total inquiry, even though each shows on your credit report. While you cannot realistically calculate your own credit score, you should review your credit report for the five factors above, evaluating whether your accounts are hurting or helping your credit score. You can then take action you need to improve your credit score, such as paying down your balances or paying off collection items. For most lenders, your credit score is only one factor, albeit an important one, of your overall creditworthiness. Your income, for example, is not used to determine your credit score, but it is very important to most lenders. Even if you have a very high credit score, if your income is low, lenders are not going to approve you for a large loan. Lenders also look at your assets. If you have a lot of assets, lenders are more likely to approve your loan, knowing that you can sell the asset or that they can come after your asset, if you dont pay as agreed. Before granting you credit, lenders look at your debt-to-income ratio (DTI), which compares certain monthly debt payments to your monthly gross income. If you use a high percentage of your income to service your current debts, lenders are reluctant to offer you credit. Hello!! I used your services last year and learned a lot! Thanks!! My next situation is: I was approved (with a co-signer) for a used car loan (around $15,000 @ 7.5% interest). I have been paying on time or early for 7 months now. Last month I got a secure credit card from my local credit union and I'm ready to make my first payment on that. A few weeks ago I tried for a credit card from a national chain store and was denied. In the reasoning it mentioned too many new accounts too many new inquiries and a debt to loan ratio, and finally showed my credit score 150 points LOWER than when I started out. I was wondering if you could tell me when I could see improvement in my score and when I could get approved for that "SamsMart" card? Assuming I'm always on time, when will my credit would reach the "good" range? And, how steadily could it improve (what sort of gain/ month.) Thanks again! John, without a full look at your credit report it is hard for me to explain what caused such a big drop in your scores. It sounds like it is a combination of the factors you listed, but perhaps your credit utilization plays the biggest part. If you lower your credit utilization, so that you're balances are less than 25% of any credit limit you have, and pay all your bills on time, your score should improve enough in about a year to get more credit. I can't say how much the month-to-month improvement will be, but I suggest that you monitor it regularly to see how it goes. So payment history makes a big difference on your credit score, however what is the time frame for score rebound by paying bills on time. I have paid all credit cards to 0, reduced all my debt, with my credit utilization at 1%. However my credit history was bad until the last year. The only thing it appears that can increase my score now is time and online payments. Would it be feasible to raise a credit score 22 points in 6-8 months by on time payments alone? Delinquency, Debt Settlement & Credit Scores illustrates how different events can impact the credit scores of a person with a high starting score and a person with a medium credit score. Short Sale, Foreclosure & Your Credit Score shows how long it takes a score to recover from different events. Understanding Credit Score Discrepancies describes why the same consumer's data can result in each credit reporting agency generating a different score. Ask any follow-up questions you may have on the appropriate page. Nice tips on what affects the credit score and ways to improve it by paying more attention to key factors. Thanks for the great article.